How’d You Get That Dog Aboard? A Dog Boat Ladder, of Course! It’s a beautiful summer day; the sky is blue, the sun is shining, the temperature is not blazing hot – a perfect day to go sailing. It’s a great day to be with your beloved dog, too – how will you get him on your boat? With a dog boat ladder, of course. Why would you want something to help your dog get on or off a boat, or in and out of the water? Because you love your pet, and you’re concerned about his health and well-being, just like you’d worry about your children’s safety and happiness. Your dog is more than a pet – he’s a friend, a companion, loyal and trusting to the end. You want to take care of him the best way possible, and that includes not stressing his joints. 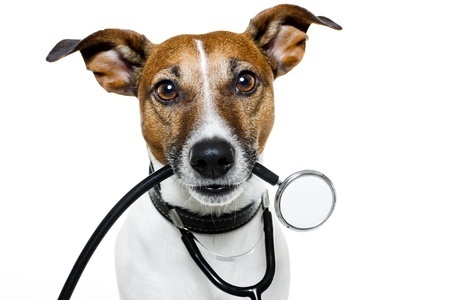 As your dog ages, his joints will grow stiff and inflexible, just as yours will over time if not properly cared for. Jumping on and off a boat a few times is not a big deal, but if you spend any appreciable amount of time on the water, how your pet goes with you becomes an issue. 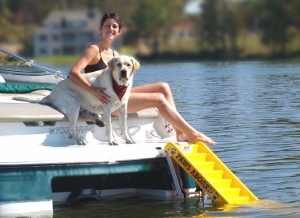 A sensible approach is to find a way for your dog to get on and off the boat without having to jump; a ramp geared for pets is an excellent way to make this happen. 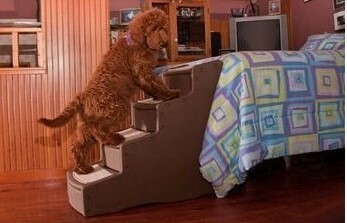 Just what is a dog boat ladder? It’s a plastic, relatively lightweight, foldable ramp, slightly over five feet in length, and slightly over one foot in width. It’s easily attachable to a boat, or a wharf, or a pool, to allow pets to get safely in or out of the water and on to the boat, wharf, or poolside without stress. 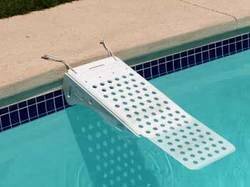 It’s also safer for the owner – wet pets are difficult to pick up without injury, either to the pet or the owner. 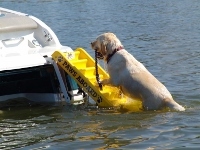 Large dogs usually have no difficulty jumping on or off a boat; smaller dogs are another matter. Small dogs have great jumping capabilities, but the distance from the pier to the boat is not worth the risk. A miss can result in serious injury, so plan ahead and make it easy for your pet to come aboard. While making the jump is not a problem for a big dog, it does create stress on the joints. Taking off and landing put a lot of pressure on the hip joints, and as a dog ages, the hip is one of the first joints to show the effects. Arthritis is painful for people, and it’s just as painful for your pet; do everyone a big favor and try to eliminate causes of joint injury and stress while your pet is young – it will help keep him that way for longer. 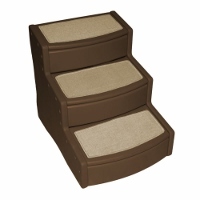 Pet ramps are available for beds, cars, furniture, and boats. They are relatively inexpensive, especially when compared to the medical costs of caring for an injured animal, or the costs associated with an arthritic one. 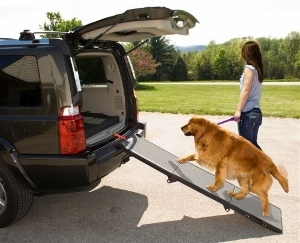 The ramps are portable, and easily stored, in your car trunk, in your boat’s hold, or in your closet. 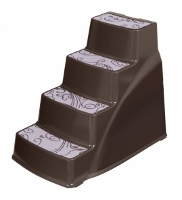 The ramps are easily installed and removed, and don’t damage the object they’re attached to. 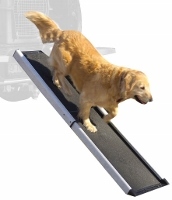 Pet ramps help extend your dog’s health, in that they reduce damage done to the musculoskeletal system. Your dog is an integral part of your life, and you want to share your recreations with him. Dogs love the water, and they love being out with their owners, so going with you on a boat is a natural thing, just like going to the park to play Frisbee. 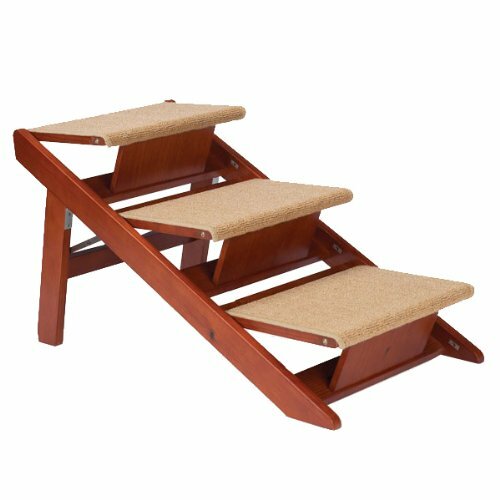 As a responsible pet owner, a dog boat ladder is something you’re going to want; it’s simple, safe, inexpensive over the long run, and it allows you to share your joys with your best friend without causing him physical harm. That, as Martha would say, is a good thing.